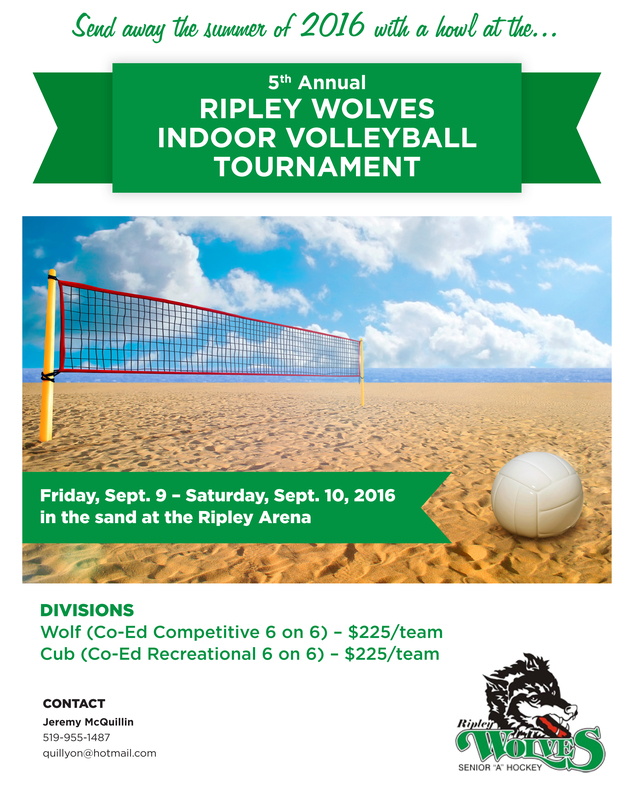 The Ripley Wolves will host their fifth annual Indoor Beach Volleyball Tournament in the Ripley Arena from Thursday, Sept. 8 to Saturday, Sept. 10. It starts with Business Night on Thursday night and continues with full tournament play on Friday. Download the entry form and email it to Jeremy McQuillin at quillyon@hotmail.com ASAP.